With Manila's seemingly unsolvable traffic jam, commuting just got so much harder. You have to deal with the MRT's busted operations and long queues, overly packed buses, and the local jeepney's not-so-safe speed. If you have extra cash to spare, you can take the taxi, but not after getting rejected by the cab driver because: a) traffic is so bad, b) itâs raining, and c) your destinationâs too far. Of course, some drivers would agree to take you...if you give themÂan extra P100 on top of your metered fare. 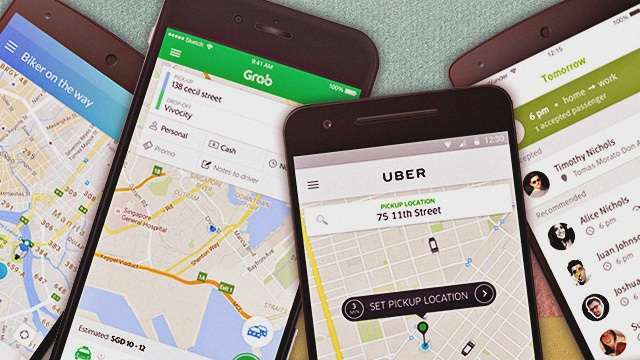 Grab has been around for a while now, having evolved from GrabTaxi to a number of available services, whether for ride-sharing or delivery. Private services include the standard GrabCar (Sedan), the six-seater GrabCar, and GrabCar+ for a premium car model. The GrabTaxi's still there and this one has a variable booking fee depending on the metered fare. Grab's carpooling service is called GrabShare, which unlike UberPoolâhas only one additional pick-up during your trip and gives you a same rate if you need two seats. The GrabShare driver can wait for you up to five minutes while the UberPool driver gives you only three minutes to get ready.